in my last post, I mentioned that I took up recreational drawing, and posted some of my most recent work. If / when I come up with new ones, I'll post them here. 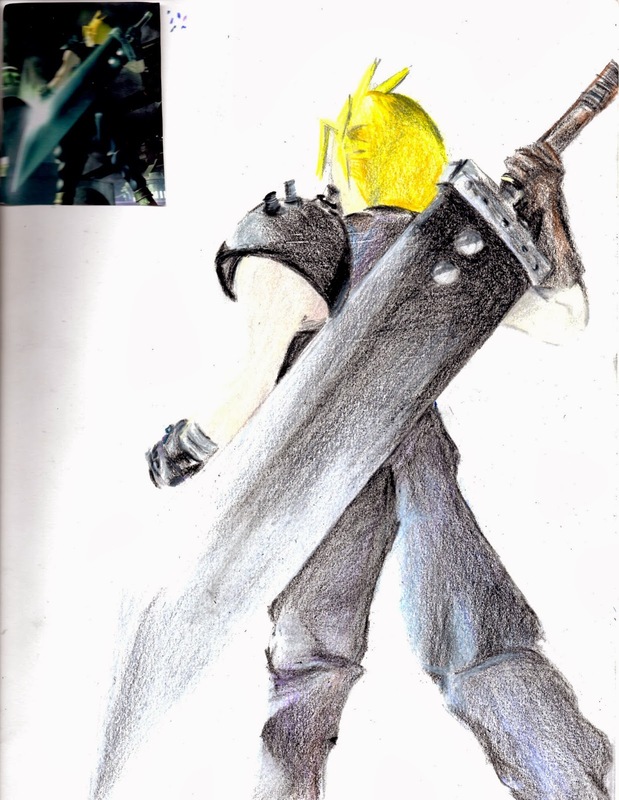 The following is a sketch of Cloud from Final Fantasy VII, which took me only a few cumulative hours spread out over 1 and a half weeks. With the exception of Sora and Piccolo, it's the only recent drawing where I'd had to use colors. It's a little tougher than pencil sketch to do because you have to transition from one color to the next carefully. With graphite, you're only working with one color and really only have to adjust the density. I'm happy with it.